It’s almost always an event, wonderfully realized, when the Battenkill Chorale performs. 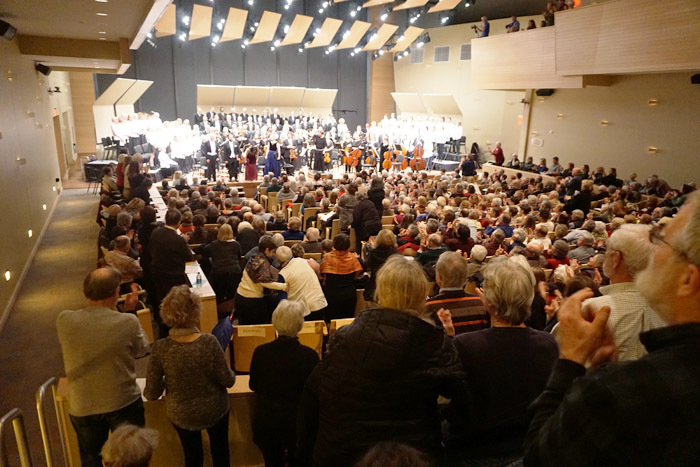 Last weekend’s production — call it what it was — of Verdi’s Requiem at Zankel Hall, Skidmore College, was more proof of that. Ms. McGhee called it an opera when she previewed the piece with me. I’ll accept that: Multiple voices, moods, a sort of narrative flow. But, no characters. Notable, how voices blended. Tenor Jorge Pita Carreras, keeping vocal company with Placido Domingo, transitioned so subtly into bass Keith Kibler’s line, you couldn’t tell who was singing. Mezzo Sahoko Sato Timpone and soprano Sylvia Stoner, who closed the piece, also. The Chorale singers too, sang tight, delicately wen needed, then ripping the walls to shreds on the “Dies irae,” Day of Wrath. I was concerned the balconies would come crashing down. Verdi’s requiem knocks at the gates of heaven on behalf of the departed, all God’s children. He is alternately plaintive, cajoling, cowering, fearless, booming in voice to warn, or supplicant in defense of Christian souls — even sometimes quietly clever, reminding those who guard heaven’s gate that Christ would have suffered and died in vain if none are allowed to receive heaven’s eternal grace. The music reflects all this. The 48-piece orchestra, again, ranging from the quietest bassoon line to resounding brass fanfare — spectacularly moving. 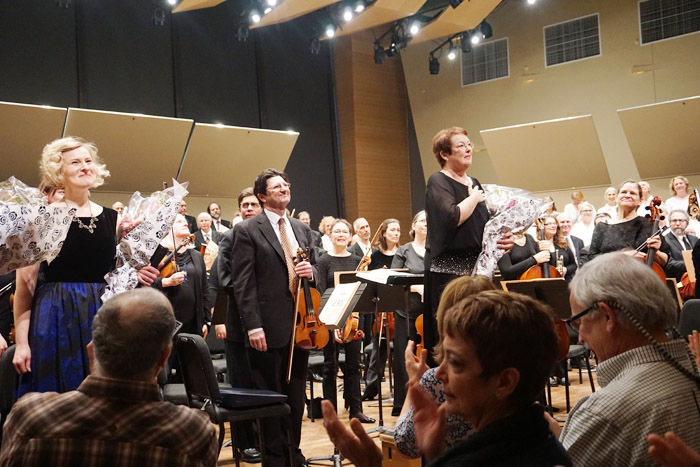 It’s a gift, that Battenkill included the libretto, with both the Latin and the translation, as well as masterful brief commentary for each section, to guide the listener’s experience. Or, put it aside and simply enjoy. Your choice. Another gift: Ms. McGhee’s lengthy pause at the close of the piece, baton up, letting the powerful, then quiet music settle before real life filtered back in. I can’t think of another concert where I looked ahead and realized with such regret, “Oh, this is almost over,” and wished it weren’t. Next: 25 years in the Outhouse!